SUCCESSFUL STUDY TIPS and an inspirational quote by Richard Feynman! Satelite tracking! Heaven's Avobe! SPACE-X launch! Space X Website! Video on 4th dimension. Flatland trailor. Dr. Quantum Double Slit Experiment, Warp Drive, Planets. Ancient galaxy that "shouldn't exist"! NASA's "Astronomy Now" and also SpaceDaily news. Check out What's Up, space.com, Bad Astronomy, and SpaceWeather.com. Click here for upcoming Eclipses. Search for Messier objects at messiermarathon.com. Jet Propulsion Laboratories (JPL), and (NASA). NASA's satellite orbits and overhead viewing. Space Shuttle Mission news and Shuttle's present orbital position! Are you late for class? Click here to view the official US Gov Time. Planetarium Software "Starry Night" from Space Software. Do you know your constellations? Use your star chart to play this constellation game. Click here to view Powers of 10, like the video we saw in class. Check out this Star Size Comparison. 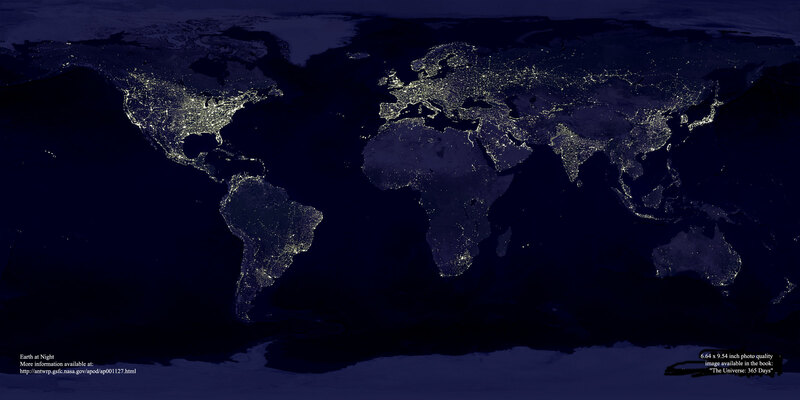 Check out this night picture of earth from space, upcoming eclipses. Cool video clips, Uranus Rotation, Uranus Magnetosphere, Miranda, Black Hole, Galaxy Collision. Listen to the Galaxy Song! Tom Lerher's Chemical Elements Song! Orsen Wells' War of the Worlds! Click here to access UCSB ITP Conference Talks. Click here to view a Big Bang animation. Student web pages, Mars Terraforming, Earth Auroras, Aurora Borialis. Student web pages, Birth of a Star, Black Holes and Antimatter. Be proud to be a nerd. Great nerd song. Erin's list of cool books! Click here to see an extraordinary picture of a Sonic Boom, or here for video! Click here to download a great little Conversion Program! Here are some handy conversions! Here is a great "Calculator" website, check it out! Also, view the Periodic Table of Elements! Try your hand at this projectile game! Can you hit the target? Here, try the Space Penguin projectile launch game! Here's a great website on physics stuff called Hyperphysics! Click here for information on upcoming launches. Call VAFB launch hotline at 606-1857, (or 606-3595 for even more information), or click here to access the VAFB website. For Extra Credit click here. Click here to view additional web links.